And he's all ready famous. For crying out loud, he's in my sketchbook! Lol. 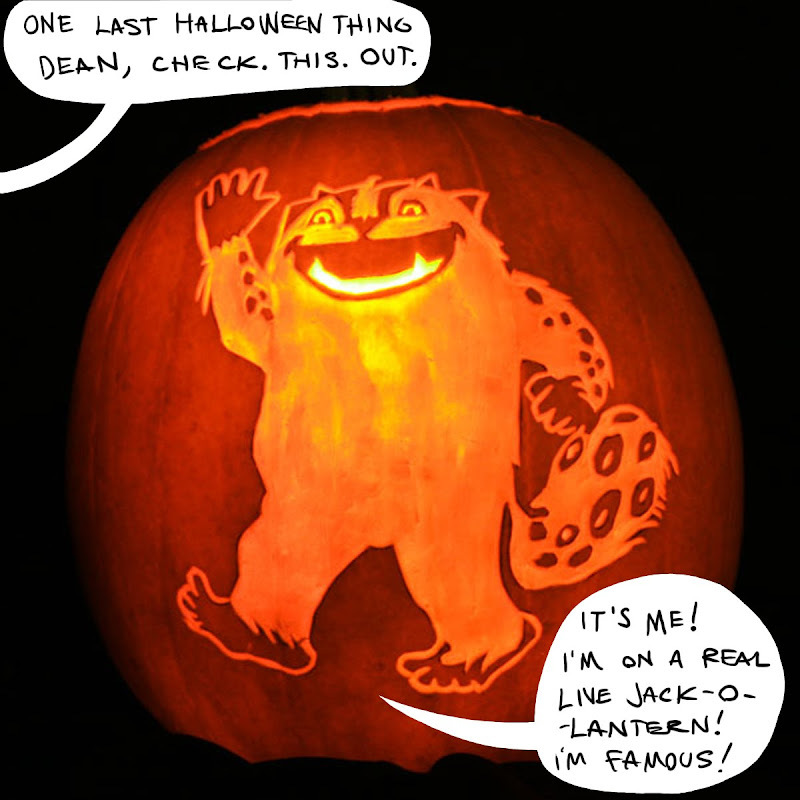 Yeah, but now he's PUMPKIN famous. hey Nate, that Laura Middleton is awesome. She used to live upstairs from us. Hope all is well. Say hi to your family. Kate! Hello! Holy Schmoke, it's been a long time. That there is one lovely work of art.